500 current and former members of the military are needed to mentor children of the fallen at TAPS 25th Annual National military Survivor Seminar and Good Grief Camp. This year's seminar and camp will be held May 24-27, 2019 in Arlington VA but mentors are needed now to sign up and participate. As a mentor, you'll be a buddy to a brave child throughout the event as they share and connect with other surviving kids and learn how to honor their loved ones. You may do art projects and play silly games. You may throw footballs and cheer them on in relays. You'll definitely create lasting memories and feel pride in yourself for the work you've done. Sign up today! The DC Mayor's Office of Veterans Affairs (MOVA), in partnership with the Mayor's Office of LGBTQ Affairs proudly host The Veterans LGBTQ Roundtable. Tuesday, April 30th from 12:00-2:00 PM. A roundtable event for military veterans who identify as LGBTQ, LGBTQ and other community activists, medical providers, veterans advocates, and allies of the LGBTQ community. The goal of the event is to identify and discuss obstacles faced by members of the LGBTQ veterans community in seeking benefits and services, as well as to hear stories and examples of how such obstacles have been and can be overcome. Take the step you need to build a successful civilian career. Military Corps Career Connect (C3) provide career planning, coaching and preparation to assist in a successful career transition. Open to Maryland transitioning service members, Maryland Veterans and active duty spouses. 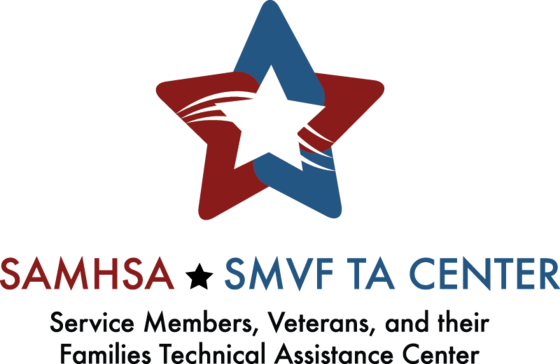 SAMHSA’s Service Members, Veterans, and their Families Technical Assistance Center Presents: Planning and Implementation Progress Real Talk: Lessons Learned from Two Governor’s and Mayor’s Challenge Suicide Prevention Teams. Webinar: April 23rd, 12:00-2:00 PM EDT. Registration is required. Applications are being accepted from May 1 -31, 2019 for the Loudoun Habitat for Humanity Home Ownership Program. Home Ownership Information Sessions are being held on May 6, 7, 16, 18, 25 and 29th. Retool, Recharge and Reinvent at two 50+ Employment Expos being held by JCA this month. April 15 in North Bethesda and April 30th in Fairfax, VA. Recruiters from dozens of employers, including non-profits, government, healthcare, retails, technology and more will be on hand. You are invited to attend the April 26 Corporate Gray Military-Friendly Job Fair at the Waterford in Springfield, Virginia and interview face-to-face with representatives from dozens of great companies, including Lockheed Martin, Booz Allen, Inter-Con Security Systems, U.S. Postal Service, Leidos, LMI, AAFES, Kearney & Company, Preferred Systems Solutions, Edward Jones, Assured Consulting Services, and many more. Job fair hours are 9 am to 12 noon, with an Employer Panel discussion for job seekers from 8 am to 9 am. The Waterford Reception Center is located at 6715 Commerce Street in Springfield, Virginia. Parking is free. Women Giving Back would like to invite all those with a military ID to shop for FREE women's and children's clothing on April 20th from 11am-noon. #NotAllHeroesWearUnifoms Please have military ID on hand. Join MOAA's financial and benefits experts, Lt. Col. Shane Ostrom, USAF (Ret), CFP®, and Capt. Paul Frost, USN (Ret), AFC®, for a tutorial on your retiree health care programs through two transitions - from military service to retirement, and from TRICARE to Medicare and TRICARE For Life at age 65. April 17th from 2:00-3:00 PM. This is an online webinar event. Registration is required. Join Maryland's Commitment to Veterans on April 17th for their 2019 Western Region Conference at Rocky Gap Casino Resort in Flintstone, MD. This year’s Western Region Conference will cover several topics concerning veteran behavioral health from challenges of female veterans to Traumatic Brain Injury. CEU's are available. Registration is required.